Oh hi there! 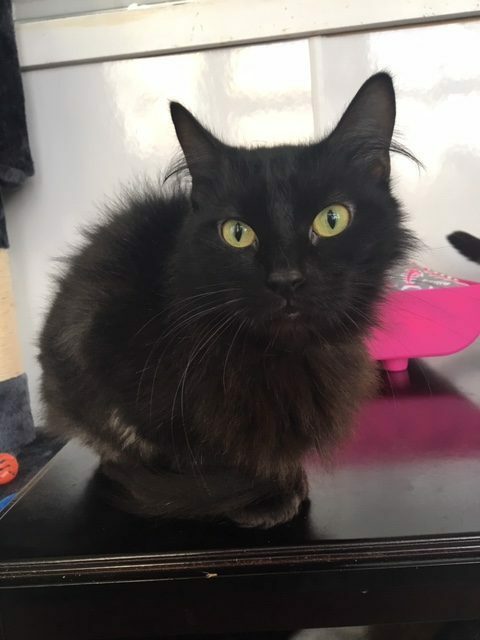 My name is Astrid and I’m an adorable fuzzy little 3-year-old friend who can’t wait to start my next adventure! 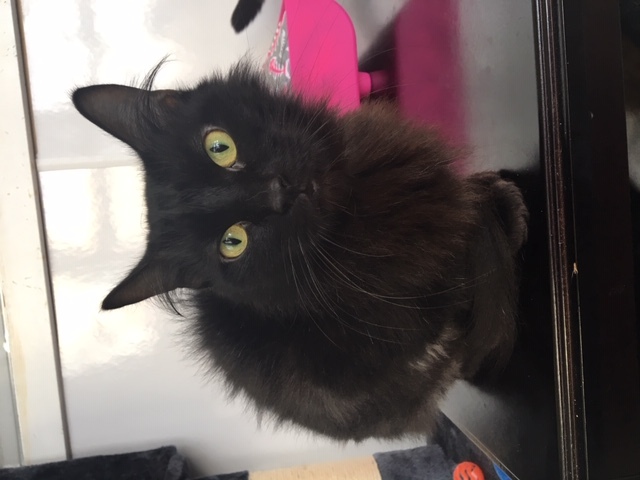 I came to Pixie after living in a home with a family and a few other pets, so I’m pretty confident around just about anybody — humans big or small, felines or canines — I just want to be everyone’s friend! If I’m not busy with napping, I will usually be the first kitty to greet anyone who walks into the Pixie cattery. If you sit down, I will typically hop right into your lap so that you can pet me and fawn over me. I’m a very petite kitty, so I fit just perfectly in any lap! I’m a young and curious girl and am still very playful. Sometimes the staff will catch me playing by myself, and if you wave a wand toy in front of me, I’ll be all yours! I came to Pixie with a pretty bad flea allergy and so I looked a little rough with less hair on my back end than I normally should have. After having my regular flea treatment and a couple of weeks to recover, I’m already starting to look and feel much better, and my short hair in the back makes me look like a tiny black lion and really adds to my alread adorable character. 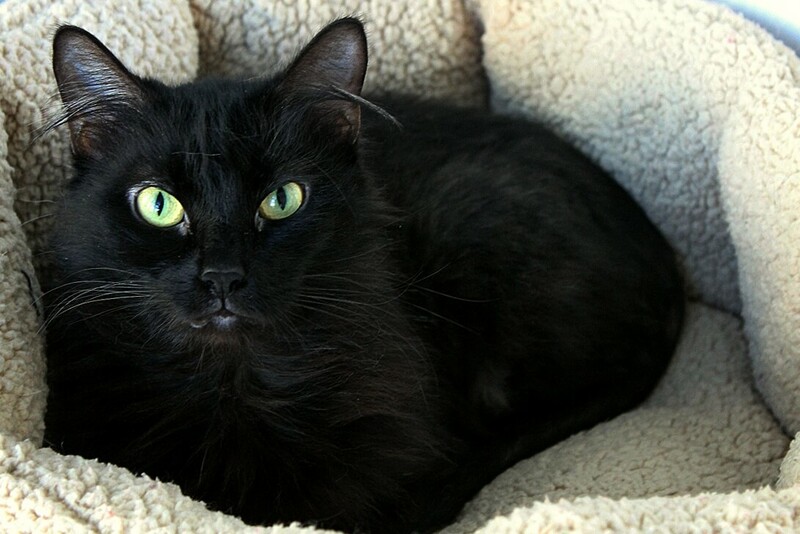 I also came to Pixie with a friend from my former home, Flynn, and we could easily go home as a pair if you’re looking for two darling kitties to fulfill your family. However, as long as I got lots of attention I’d be fine as a single kitty and would also make a nice companion for a resident pet — just as long as I get adored regularly. Once you meet me, you’ll see how easy that is! Come down to say hello today! I come to you fixed, vaccinated, and micro-chipped for an adoption fee of $100.